“LaFenice” or ‘The Phoenix’ recalls the story of the mythological bird, which is reborn out of his own ashes: a symbol of hope and renewal. 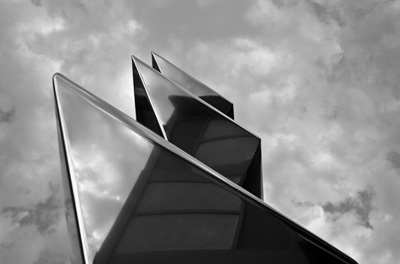 The power of its message lives in the minds, hearts and souls of people. The reflective surfaces depict different moments of movement and light, becoming a kaleidoscope of the urban life of Messina and the innate human impulse to explore new horizons, past and future, to capture each element, from closest to the furthest, in a continuous search for a new insight and outlook. 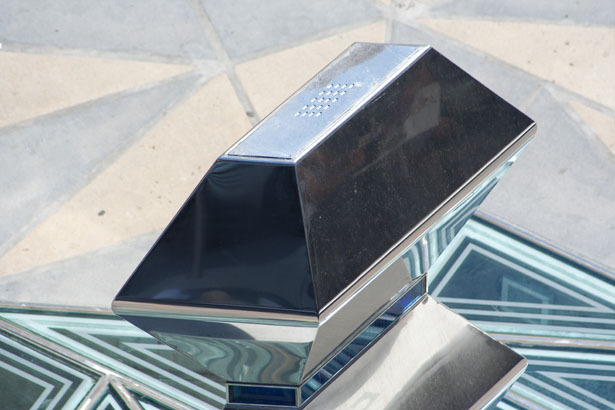 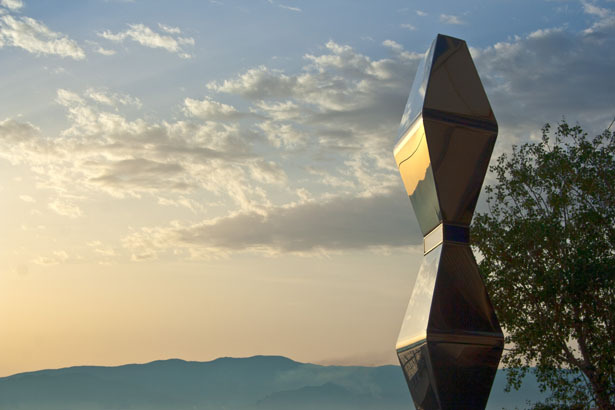 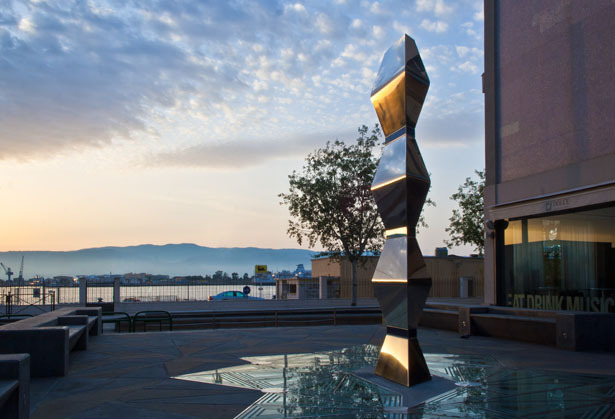 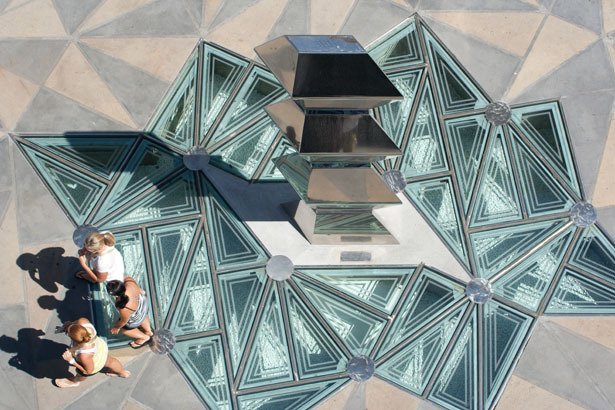 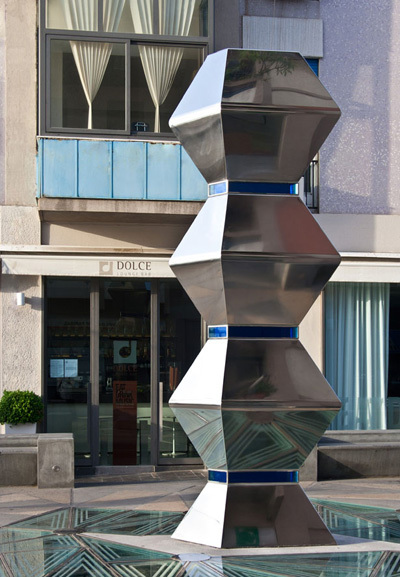 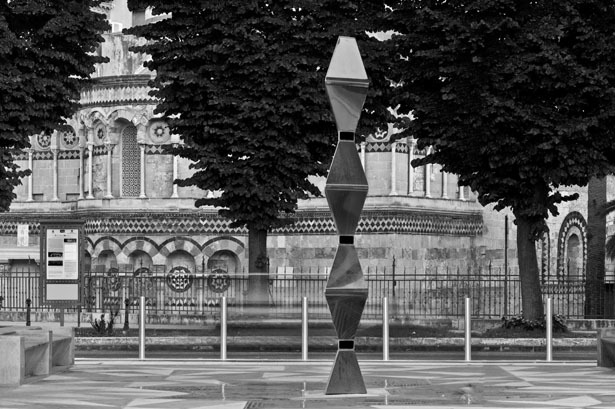 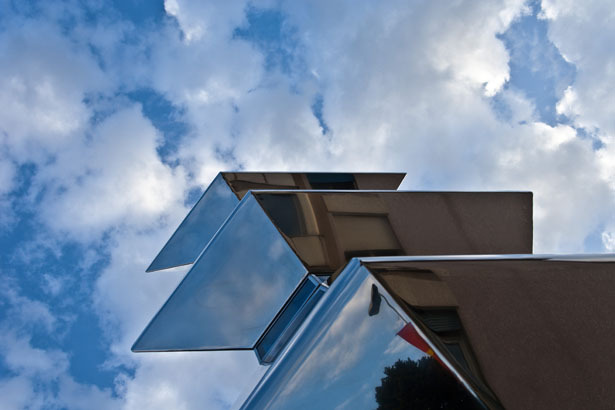 The shape of the sculpture integrates with the existing kaleidoscope pattern of the square, forming an architectural unity. The square consists out of a grey and yellow lava stone pavement and the sculpture is surrounded by a transparent glass floor, which allows views to a lower level of the square, suggesting a view into the past, while at the same time reflecting the sculpture above, reaching into the sky, the future.